Are you looking for an effective neck rejuvenation? 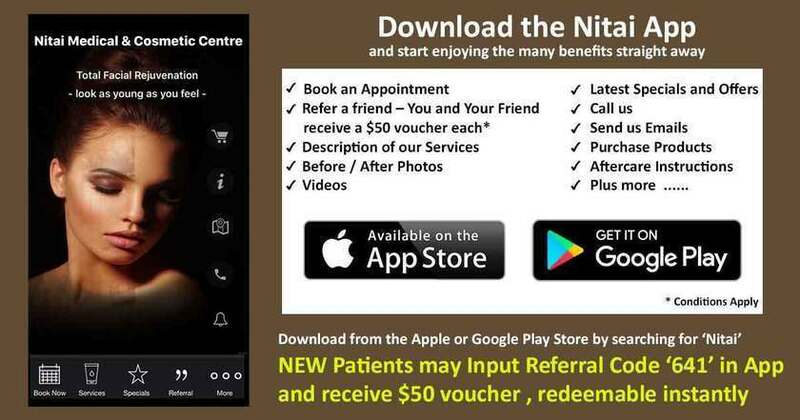 You could head to Nitai Medical & Cosmetic Centre, the best destination for highly reliable neck rejuvenation in Melbourne. Colour changes, wrinkles, and sagging are all signs of the onset of aging. When your body ages, tissues and skin in the areas of the face and neck stop being supple and become loose and baggy instead. These further manifest themselves as rings, bands of floppy loose skin over taut, inelastic tissue. Since the supporting tissue is inelastic, gravity pulls down the skin, giving it a droopy appearance. An aesthetic enhancement of an aging neck is a pretty challenging proposition. Today you have access to a broad spectrum of both surgical, as well as, non-surgical techniques for neck rejuvenation. There’s no need to be upset, though, as each of these issues can be addressed and handled quite well with Nitai Medical & Cosmetic Centre’s advanced Fraxel Laser treatments. What Is Fraxel Dual Laser Neck Rejuvenation? Nitai’s revolutionary Fraxel Dual Laser treatments are the most effective methods for neck rejuvenation in Melbourne ever. We use a dual-laser system with a 1927 nm wavelength, perfect for these treatments. The treatments are extremely targeted; triggering the body’s natural healing responses in specific areas, allowing the production of new cells, proteins, and connective tissue. In time, the area becomes firm, supple and smooth. Our non-invasive treatments are very effective. Our Fraxel restoration treatments have returned remarkable results with minimal downtime for a number of cosmetic issues, ranging from wrinkles and aging to sun damage or scarring. You don’t have to worry about missing work or staying away from any of your daily activities either, because it takes no more than a couple of days to heal completely. There are two treatment modes for Fraxel treatments, the 1927 and the 1550. 1927 is perfect for superficial cleaning and works wonders for the upper layers of the skin, while 1550 goes deep and works on wrinkles and scars. The dual treatment is a combination; the best of both worlds so that you get the most effective neck rejuvenation treatment in Melbourne. Just like a picture is edited or retouched one section at a time, our treatments also isolate small sections of tissue and treat them with several incredibly fine laser columns, each being a tenth the diameter of a standard hair follicle! The mechanism after that is wonderful because it is all done by your body. All lasers do is trigger the natural healing process on the inside, which eventually manifests healthier, more beautiful and youthful skin on the outside. PRP or platelet-rich plasma is a concentration of the platelets from a person’s blood, used to replenish the elastic glycoprotein and other structural proteins, which form the connective tissues underneath the skin. By taking a blood sample from the patient and centrifuging it, our experts are able to extract this PRP and then inject it into the neck. The effects manifest themselves over the next few weeks in the form of dramatically improved tone and texture of the skin. It takes around 3 or 4 treatments at the beginning, after which you will need maintenance at a gap of 6 to 12 months. This treatment can be used alongside the Fraxel laser treatments at Nitai, the best neck rejuvenation clinic in Melbourne, to enhance the overall effects and get the optimum outcomes. How long would a Fraxel Dual Neck Rejuvenation Treatment take? The standard procedure is quite short, but the duration varies according to the area it is going to be administered to. If you’re opting for a topical anaesthetic, you would have to get it applied around an hour before you go into the main treatment. The Fraxel dual session itself takes no more than a quarter of an hour or half an hour at most. Neck lifts work wonders for sagging skin and wrinkles which are common effects of drastic weight loss or aging. The procedure involves the removal of excess skin, tightening the muscles underneath and improving the shape of the jaw and the suppleness of the skin. If your neck already is displaying aging signs, you could consider availing the Fraxel Dual neck rejuvenation treatment in Melbourne which could be effective in preventing the necessity for surgical neck lifts. Be sure to get satisfactory outcomes at a fraction of the conventional surgical neck lift costs. Nitai Medical & Cosmetic Centre uses the Fraxel Dual laser treatments which are regarded as a major breakthrough in the field of cosmetology. This procedure has now become most suitable for effectively managing moderate to deep skin issues including aging neck, sun-damaged skin, and deep wrinkles. Non-surgical skin rejuvenation with the use of Fraxel dual lasers is associated with phenomenal results. It enhances skin texture, wrinkling, and pigmentation and at the same time tightens the overlying skin. Surgical neck lifts in comparison to this, would be involving cutting and lifting of skin and leaving behind previous scars and old skin. Fraxel drastically enhances the overall skin texture and quality and your neck looks replenished and rejuvenated. You look years younger than your age. Another major advantage of neck rejuvenation Melbourne is that it involves no downtime. If you want to know more about our specialized neck rejuvenation treatments in Melbourne, schedule an initial appointment with us today, we’d be happy to hear from you!